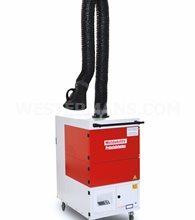 We supply Refurbished and New Welding Fume Extractors from a variety of leading manufacturers. 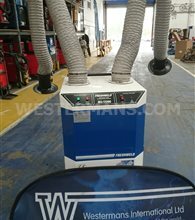 Save time and money by buying secondhand fume extraction systems– with over 50 years in the industry and a warranty with every purchase, you can trust Westermans when it comes to high-quality Fume Welding Extraction equipment. 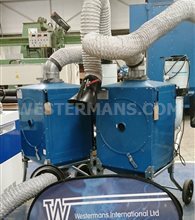 We are always looking to buy used fume extraction systems, please offer, sell or swap if you have Nederman, Kemper or Plymovent. 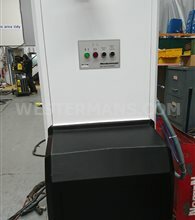 Nederman Filterbox Fume Extractor. Fully working and tested. 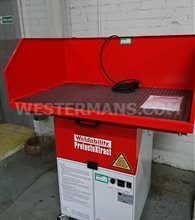 Welding can create hazardous fumes that can be dangerous for the welder working, therefore fume extractors are a must in order for work to be carried out safely. Certain fumes can cause cancer and other long term effects and as much as possible should be done in order to cut down on these risks. 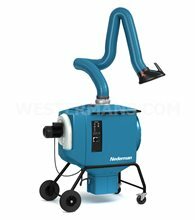 Why are welding fume extractors necessary? Chemicals in the fumes given off when welding can cause all sorts of health issues, from irritation and bronchitis in the short term to lung cancer and chronic respiratory problems after longer exposure. Heart disease, skin disease and other horrible illnesses can also be caused by the fumes given off. These chemicals cause problems because the fumes they give off are toxic. Some of these chemicals are cancer causing and include arsenic and nickel. Other fumes are formed from the ultraviolet radiation produced by the welding mixing with the natural air chemicals, such as oxygen and nitrogen. This can form ozone and nitrogen oxides which, after a large amount has formed, can be deadly. 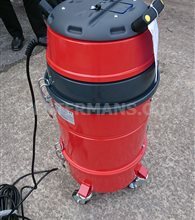 Fume extractors rapidly cut down these risks by taking away the imposing fumes before it can be breathed in. This reduces the exposure to the chemicals, and so lowers the chance of any irritating or serious medical conditions that could arise. Health and safety measures in the work place, such as welding fume extraction equipment, can increase the strength and productivity of your workforce by reducing the current 160 hour average yearly sick leave of a welder. Every year, thousands of workers in Britain develop occupational diseases from breathing in certain dusts, fumes or other airborne contaminants at work.MLocal exhaust ventilation, often called dust and/or fume extraction, can help clean the air, before people breathe in these harmful substances. New Research shows that Welders are at risk to a serious infectious disease from welding fumes. A £30 vaccination could prevent pneumonia which rarely but could be fatal. See the article here on the study carried out by Southampton University. Fresh air requirements in normal buildings are covered by an HSE publication (1), which concludes that the necessary volume of fresh air to be supplied should never fall below 0.28m³ per person per minute. This rate of air exchange occurs naturally in most circumstances. In buildings where welding is carried out, temperature control and problems of airborne contamination become important, and the quantity of fresh air required increases. Although fresh air is usually supplied by general (natural ordilution) ventilation, the sole use of general ventilation for airborne pollutant control in welding is usually ineffective leading to expensive heat loss. It is more efficient if airborne contaminants are captured as close to source as possible. 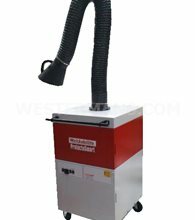 Local extraction is the principal recommended method of fume control in the welding industry. The theory, types and application of local extraction have been discussed at length in a number of publications, which are recommended for more detailed study. This module deals with local extraction as an aspect of safety in welding; when it is likely to be required, what types of equipment are available, and when local extraction by itself may prove inadequate. 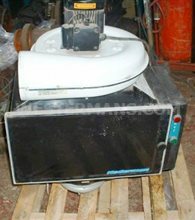 A full list of suppliers of commercially available equipment is held by TWI, on a regularly updated computer file; welding and safety journals frequently have advertisements for such items. 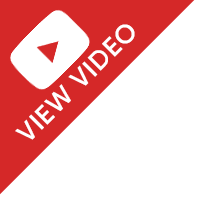 Fume hazards - What is fume? Usage of the term welding fume normally relates to the very small particles emitted during fusion welding. However gases are also generated or released, and these also form part of the 'welding fume'. As extraction equipment captures polluted air containing both gases and particulate contaminants, the term 'fume' is used to refer to any atmospheric pollution arising from the arc. All atmospheric contaminants are potentially injurious to health. Some substances, particulate or gaseous, are more toxic than others. The Control of Substances Hazardous to Health Regulations (COSHH) require employers to assess the risk and adopt measures to ensure that the employees are not exposed to unacceptable levels of hazardous substances at work. The Health and Safety Executive (HSE) publishes a list of allowable (safe) exposure limits for many substances including welding fume, entitled Occupational Exposure Limits EH40. 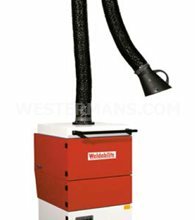 The HSE normally recommends that for welding fume, actual exposure in the workplace should be reduced by the use of fume extraction equipment. 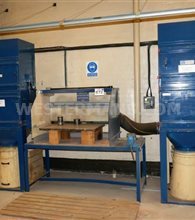 Below are the principles involved in selection and use of fume extraction equipment, but they should be read in association with HSE's Guidance Note EH55 The Control of Exposure to Fume from Welding, Brazing and Similar Processes. 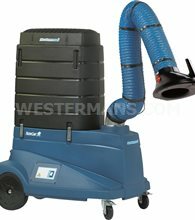 When is fume extraction equipment necessary? Measurements of actual welding fume concentrations can be used to determine whether exposures of welders and others in the vicinity are likely to exceed the Occupational Exposure Levels (OELs) allowed in EH40, i.e. when fume extraction is required. BS EN ISO 10882 parts 1 & 2 Fume from Welding and Allied Processes gives methods for sampling and analysis of both particulate and gaseous fume. 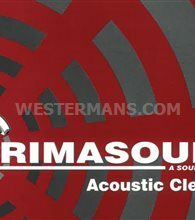 However there are a number of situations where experience shows that fume extraction will be necessary in order to ensure safe working conditions for example when open arc processes (MMA, MIG, MAG, flux-cored, plasma welding, arc gouging and cutting processes, brazing and soldering etc) are carried out extensively in a workshop environment, or confined space. The amount of fume generated, and the toxicity hazards to welders depend upon a wide range of factors such as: · types of materials being cut or welded · process parameters (increasing energy input to the process normally increases fume) · duration and frequency of the actual process in operation · operating position and location · general ventilation and air movements in the area As a general guide, any shop-based welder arcing on steel on a bench, or in the flat or downward position for more than two minutes in every ten with MMA or MIG at currents in excess of 170A is likely to need extraction. 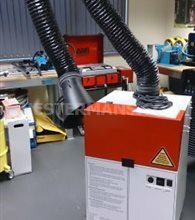 Extraction may also be needed to prevent general build up of fume in the workshop, for example where a number of welders are working, even if individually they may only be exposed to low Time Weighted Average (TWA) fume concentrations. The usual limiting OEL for welding steels is 5mg/m3, for the total fumes. For welding stainless steels and other alloys, the limiting safe OEL for one of the constituents may be so low that the total fume level has to be reduced. 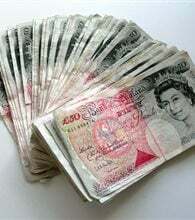 The questions for consideration are: Can an alternative joining process be devised or substituted that gives less fume? Can the welder be positioned so as to be remote from the fume? 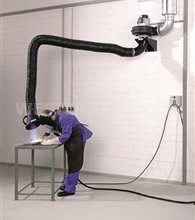 Can welding be arranged to take place within a fixed capture hood/booth system? If the answers to the above are negative, with then local extraction should be used. 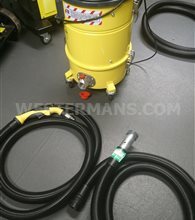 Filter masks and air fed systems for the operator are last resorts or only usable as additional safeguards. The principal types of equipment available are described below with comments on the comparative advantages and disadvantages. 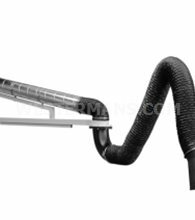 Choice between high volume/low velocity (hi vol) and high velocity/low volume (low vol) systems High volume systems use large diameter ducting and capture hoods or nozzles and are suitable for fixed bench or booth installations. 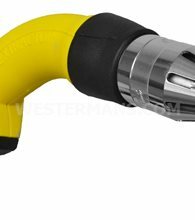 They are also used with flexible extraction hoses, typically 150mm diameter, with smaller portable capture nozzles that the welder can position close to the arcing point. Generally the capture zone of a portable nozzle is a hemisphere with its base centred on the nozzle inlet and radius equal to the diameter of the nozzle inlet nozzle (if the nozzle has reasonable flange.) If the nozzle is simply the open end of a pipe, the capture zone will be even less. The capture zone in this context is a measure of the inlet nozzle's ability to capture the plume of fume rising from an electrode, when the nozzle is placed with its face vertical adjacent to the arc so the fume is drawn horizontally to the inlet. For most linear welding deposits, the weld will be out of the capture zone for at least some of the time because the width of the capture zone will be less than the weld bead deposit length. For this reason it is obviously more efficient to position the nozzle above the mid-point of the weld bead to take advantage of the convection current causing the welding plume to rise. If the nozzle is placed on the bench with its face vertical so as to extract horizontally, extraction therefore is a compromise and repositioning by the welder can be difficult and time-consuming, particularly with stiff, bulky hoses to be accommodated. Low volume, high velocity systems use much higher extraction speeds with correspondingly low diameter flexible hoses, typically 30-40mm. However, the capture distance in front of the nozzle is also reduced, and it is usual to fit specially designed fish tail or slot nozzles that can and must be positioned very close to the arc. Such slot systems can permit extraction over the full length of most MMA deposits. Because the nozzle and hose are smaller and more flexible they are more easily positioned and repositioned so this system should be easier to use. However if the nozzle is not positioned to capture the fume, there is so little air removed from the local area that pollution can easily build up. 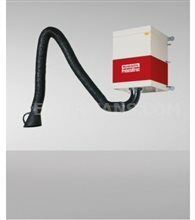 With the high volume system, even if the nozzle is not collecting fume directly from the plume there is a comparatively high volume of air being extracted from the welding area. This can prevent a local build up of fume if the area is confined. The high velocity low volume system is also used 'on gun' for semi-automatic welding, particularly with flux-cored wires. This eliminates the welder having to reposition the nozzle. The main disadvantage of such systems is a risk that the essential shielding gas is disturbed giving defective welds if the nozzle is not carefully adjusted, for example or is too close to the arc. If it is too far from the arc, fume is not collected. 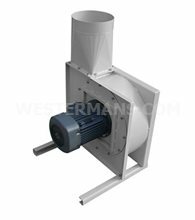 On a more practical note, high velocity low volume systems are operated by vacuum pump air turbines which are more costly to buy and maintain and can produce a significant noise hazard in their own right. Fixed equipment or portable fan units? Portable fans can be moved close to the arcing position and can reduce the length of the flexible hose required. Flexible hoses are an expensive consumable and can introduce serious inefficiencies by leaks or obstructed air flow resulting from wear, or damage or misuse. 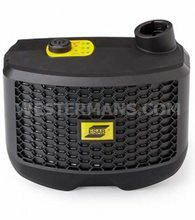 Portable fans are normally only suitable for one operator, are noisy and usually have to be equipped with a filter unit for the collected air to be cleaned and discharged back into the atmosphere. Filters are expensive and need careful monitoring to ensure they have not become blocked rendering the extraction system ineffective and possibly discharging polluted air into the workshop. There is also the hazard of power cables trailing in the working area. As an alternative, the discharge from a portable fan without a filter could lead directly via a suitable hose to a fixed fume extraction duct. This may have a high volume low velocity fan, discharging direct into the atmosphere outside the building. 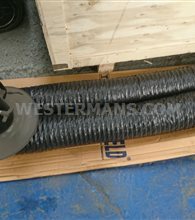 Fixed fans with rigid ducting are the best way of providing effective fume extraction to a number of locations. 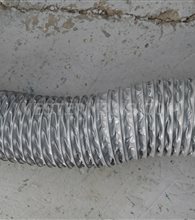 Each welding position must be reached easily by a short suitable connecting flexible hose from inlets built into the ducting. Design, installation and balancing of such systems is a task for competent and experienced professionals, and installation must always be operated in accordance with their instructions. For example, adding extra lengths of hose and closing some of the extraction points can render the whole system ineffective. It is not recommended that fabricators attempt to design and install their own fume extraction systems. Reputable suppliers should be asked to quote. To evaluate quotations, fabricators should consider the following technical points and satisfy themselves the supplier is quoting an appropriate system. How many extraction points are required (compared with the number provided), for coverage of the working area? Is direct exhaust to the external atmosphere or to the shop via filter? If filters are specified, what is the cost and expected life of each filter? Are they reusable and what safety precautions are required in handling them? What is the air volume flow and inlet velocity at the extraction points? What are the power requirements for the system and can sections not in use be isolated? Will the fans etc generate excessive noise, and will they be installed outside the building or provided with sound insulation? What is the reach radius from any fixed inlets in rigid ducting via flexible hoses? What are the types of flexible hose specified, their diameter and cost, estimated life, flexibility and susceptibility to spatter damage? 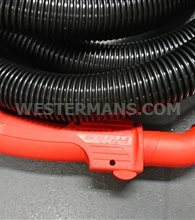 What is the nozzle type, its diameter and support methods and that of the intervening flexible hose? What weld length that can be covered without moving or repositioning the nozzle? Is there any interference with normal welder access work resulting from the nozzle design, or support arrangements? What are the interference problems of the installed system, with cranage access. Under current discharge of welding fume into the atmosphere is permitted provided it does not to cause a nuisance to others. Welding is not a prescribed process that has to be notified to the Environment Agency. However when welding fume is collected into a filter or another container, there is obviously a hazard to people in the area if any dust is or maybe dislodged or could be allowed to escape into breathing zones. This is particularly true when the welding fume contains significant levels of toxic dusts, for example hexavalent chromium, barium oxide (from self-shielding flux-cored wires) copper oxide etc, and other such substances that have low OELs quoted in EH40. It is therefore necessary to arrange and implement a 'safe system of work' to cover the collection, removal and handling of the arisings from welding fume filters. It may be necessary to provide air-fed masks, protective overalls etc for operators while collecting or transferring dust or loaded filters to the safety of a sealed bag or container. Although all the requirements can be encompassed under the Health and Safety at Work Act Section 2, specific sections of COSHH also apply, for example, under Regulation 7, employers must ensure employees exposure to fume is prevented or adequately controlled. Under Regulation 8, employers must ensure control measures (fume extraction for example) are properly used, implying that employees are to be told of the hazards, and trained in the use of the control measures. This can also mean that measurements of breathing zone fume concentrations may need to be taken to prove the control measures are effective, and to provide objective evidence against civil claims for compensation. Regulation 9 requires the employer to maintain control equipment in efficient working order. In the case of fume extraction equipment this needs 'independent examination and tests' at intervals not exceeding 14 months. It is strongly recommended that fabricators routinely test this equipment against the performance data provided by the equipment supplier. The employee also has a duty to report any defective equipment to the employer at any time. Welding fume extraction for sound, safe and efficient metal fabrication and cutting processes Welding and cutting fumes cause health problems and negatively affect production. The result is reduced capacity, re-occurring disturbances and eventually decreased profit. Not only welders are at risk in unsafe environments. The production equipment, as well as end products, are negatively affected from the lack of adequate safety measures. 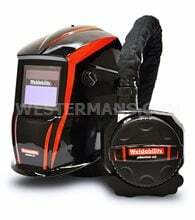 Automated welding equipment such as robots - and the operators - can be subject to residual welding fumes and also need to be protected. Good safety and health is good business. · Improve workplace environment · Protect your workers health · Protect equipment and processes · Reduce production disturbances and improve profit We have the facility to offer everything from single welding fume extractors to complete welding fume extraction systems. We can advise you where to go to carry out feasibility studies and planning for Welding and Metal fabrication industries. As Agents for Nederman and a number of other EU manufacturers, we are able to find out calculations and present complete customer specific layout alternatives and solutions including costing. We can offer Installation work and commissioning. Our After Sales service encompasses everything from emergency repairs to scheduled maintenance.